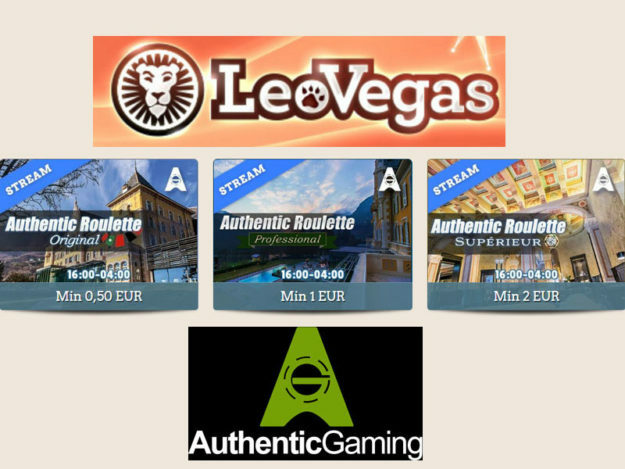 Leo Vegas has added Authentic Gaming Roulette from niche live casino provider Authentic Gaming to their growing list of live casino providers. 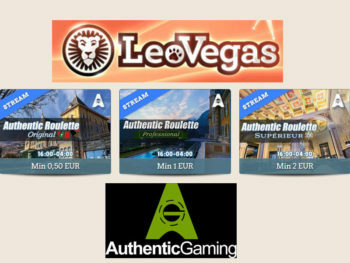 Authentic Gaming provide live streamed games from some of the best land based casinos from around the world. 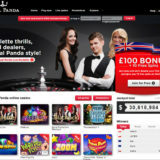 Their USP ‘s is that the games are streamed from real live tables being played at the same time as people in the casino and the playing interface on PC and mobile devices offers something other live casino providers don’t. Authentic have spent a great deal of time developing the interface to include features that saves time placing bets and making it easier to see trends. There are three tables to choose from and all are open from between 16:00 – 04:00 am CET. Each of the tables is aimed at different levels of player, the only differences between them is the complexity of the options you can use when playing. 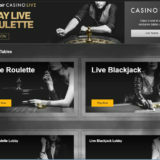 This is aimed at players new to Roulette or playing at online live casinos. 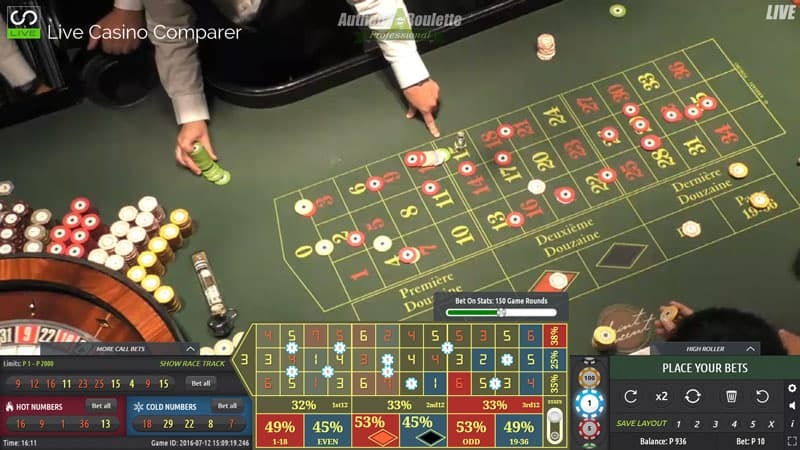 The table is streamed from the St Vincent Casino Resort in Italy and is open to online players between 16:00 – 04:00 am CET. This is aimed at slightly more advanced players who want a few extra playing options. What I particularly like about this table is being able to see and place bets on hot cold numbers on the table layout. You can also place racetrack bets on the normal table layout without having to use the racetrack. This table is also streamed from the St Vincent Resort. This is a table with a difference. 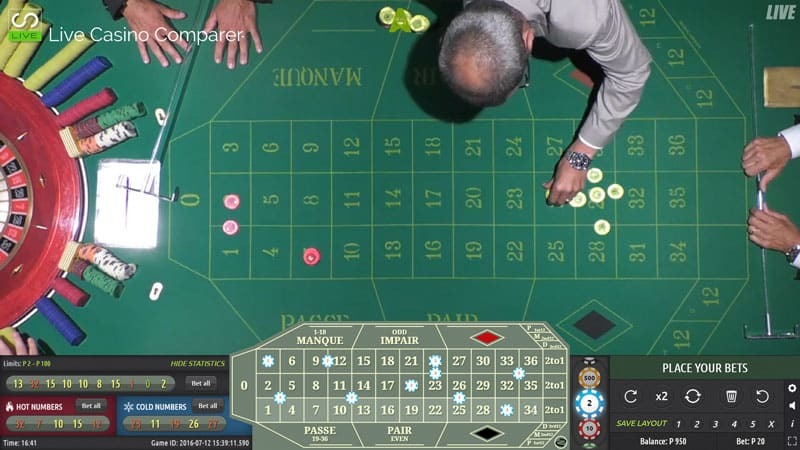 It’s very old school and perhaps the most original of roulette games out there. You’ve got the choice of playing with the normal layout or french layout. What makes this table different is there are 4 croupiers managing the table at the same time, very much in the old way of playing. High Rollers tend to use this table the most in the casino, so it’s pretty cool placing your bets alongside these players. La Partage / En Prison is also available. All the tables can be played on mobile devices. The playing interfaces are spot on and it’s no problem playing on either a tablet or mobile phone. The games are licensed from Malta so unfortunately UK players are not able to play them at the moment. By all accounts this will be a short lived issue as the application for a UK license is currently in progress with UK Gambling Commission. 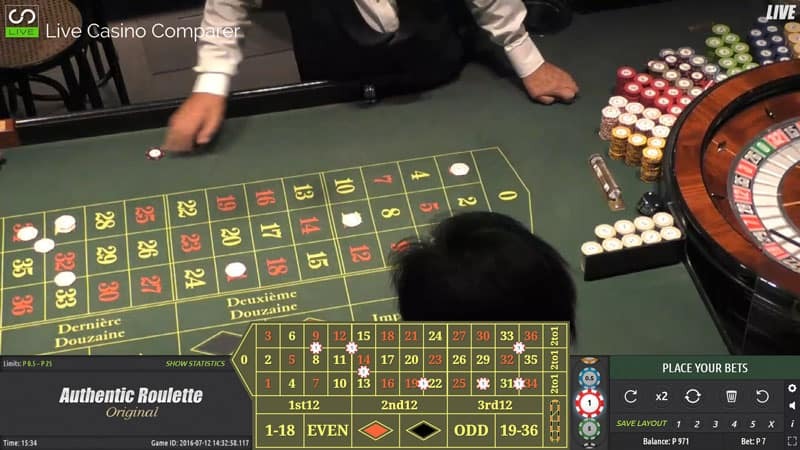 As the name suggests the game is as near to authentic land based roulette as you can get. If you’ve got board of studio roulette then this is a great alternative. Players who prefer playing at land based casinos will really appreciate how the game is not interrupted by the online player. In face both co-exist without causing any playing issues. 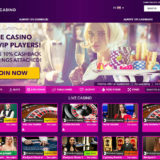 The speed of the games are dictated by the land based players, so you can expect slightly longer times between spins which is normally caused by the payout process at the table.